Your vehicles can be lined with anything from plywood or fluted plastic to aluminium panelling and more. And because we hold CNC profiles for all van makes and models, you can be sure that an OBP interior will be made-to-measure and fit-for-purpose. Our super lightweight racking systems can be made-to-measure – we can produce bespoke racks and storage sections to suit basic or complex applications. 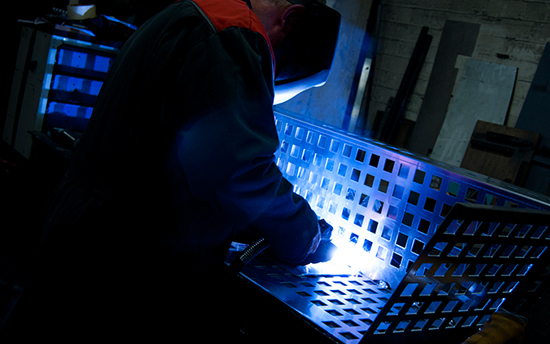 If you need something completely different, our fabrications team will get to work. 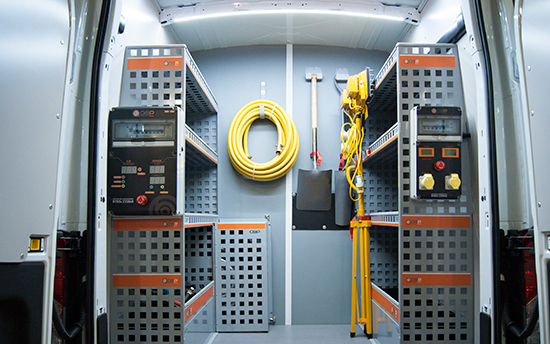 We can also create tailored partition systems and work benches which allow you to operate from the back of your vehicle as you would in a static workshop. 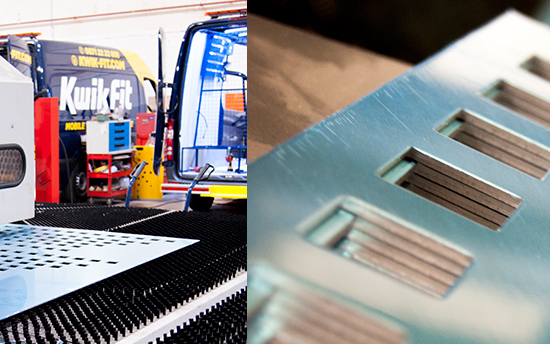 Our state-of-the-art CNC machining capabilities allow us to punch lighter aluminium sheeting for our racking. This high-precision alternative to standard non-punched racking could halve overall vehicle weight for increased fuel efficiency, and make your mobile operations more cost-effective than ever. 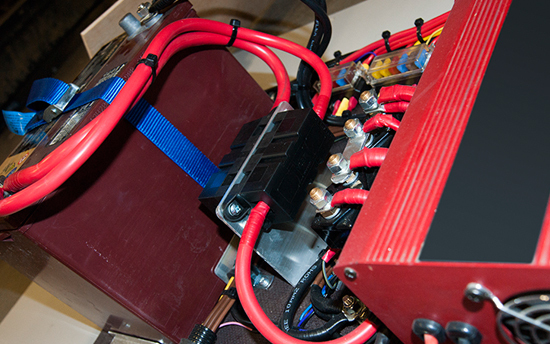 Our electrical installations team has vast knowledge and experience in the automotive industry. We can therefore advise on power inverters, LED lighting, split charge systems, interior lighting, water heaters and more before installing the best solution for your specific requirements. 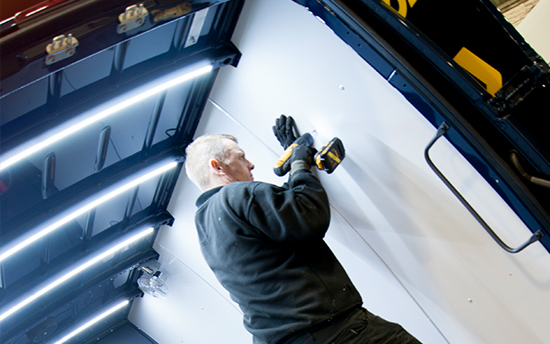 Our team of fabricators can craft bespoke systems from the simple to the sophisticated, and will deliver robust and highest quality interior construction for any mobile environment. Precision and performance lie at the heart of every solution we offer, giving you and your customers complete reassurance day after day.